In Scandi-land there is a tradition of baking with "scalded" flour. I have never come across this anywhere else but I can tell you that everyone should be doing it as part of their baking repertoire because it turns out gorgeous bread. 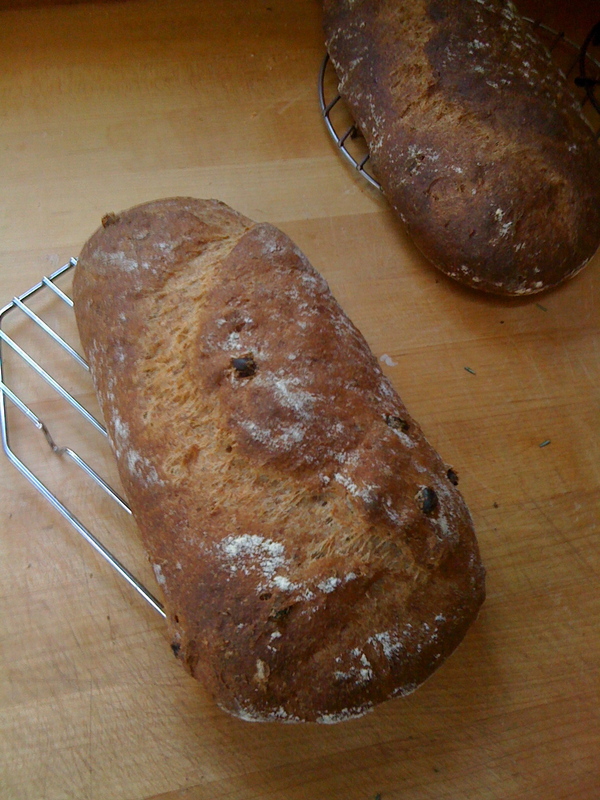 The crumb is soft and chewy as if there was a lot of fat in it and the flavour is sensational given part of what you are adding to the bread is cooked before the bread is baked. Some flours work better than others but nothing has ever been disgusting, just not particularly fantastic. The idea is that you pour boiling water over the flour of your choice and let it cool completely before adding it to perfectly ordinary dough. The first thing I learned to make was scalded rye bread in which the rye flour was scalded, left to cool, and then kneaded into dough made with wheat flour. Since then I have experimented with all sorts of different kinds of flour - with and without gluten - such as scalded millet (fantastic), scalded quinoe (not so fantastic), scalded oat flour (yum), scalded corn meal (delish) and today was scalded amaranth flour (dribble). There are four important things to remember when you are scalding flour and adding it to dough. 1. Different flour has different absorption rates. Rye flour absorbs more water than wheat. Millet absorbs more than rye. Chia absorbs more than millet. Etc. In general if you are making a loaf of bread using 300 g of wheat or spelt flour, scald 100 extra of the flour of your choice with enough boiling water to make a thick paste reminiscent of wall paper paste. For rye, add twice as much water, for millet, add three times as much, etc. Let it cool down before you add it or it will kill the yeast. 2. Because you are adding paste, you cannot follow a perfectly standard bread recipe. You will need to add a bit more salt (just a bit) and you will need to add a lot less water. To that end, put your 300 g of wheat or spelt flour in a bowl and make a well in it. Add the necessary amount of yeast (1.5 g instant/3 g dry/6 g fresh) and about 50 g water. If you are using dry yeast, let it sit for 15 minutes to dissolve completely before carrying on. If you are using fresh or instant you can crack on. Crack on by adding the salt, the scalded flour and whatever else you like (fruit, nuts, spices...) and kneading for a good 10 minutes. Add water if you need it to make your dough. You may not need to add any water at all. It will be sticky (no way around that) but it should not be liquid. If necessary, add a bit more wheat or spelt flour. The flour will not make it less sticky - it will always be sticky - but it will make it less liquid. Don't try to get it into a non sticky state, just put up with that. 3. After the first rise in the bowl, you cannot shape scalded flour bread into a tight ball or sausage. Go for loose ball or loose sausage and proof it in a basket or free form as a bit of a blobby, organic shape and let it do it's thing for the second rise, covered with a dry tea towel. Flour the tops so the towel does not stick. 4. 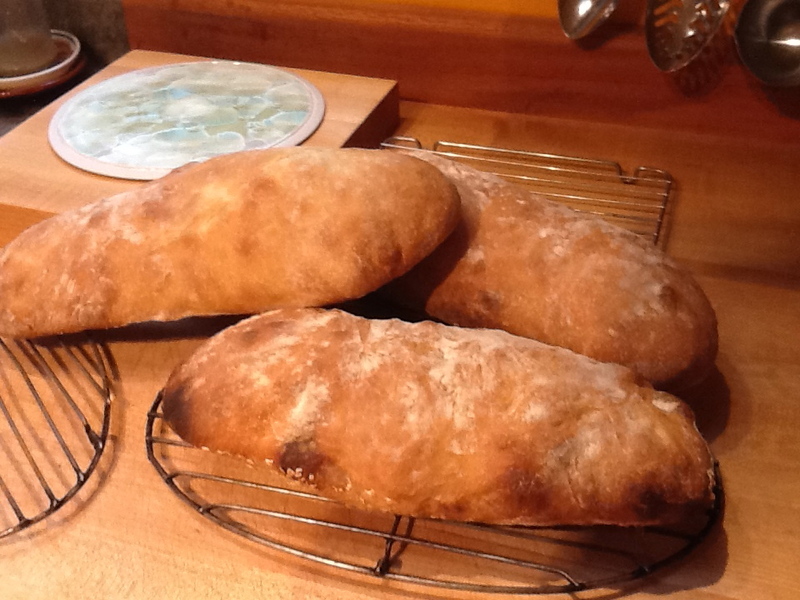 You bake scalded flour bread at a lower temperature for a little longer time. This is because the dough is more like thick cake mixture than dough. To that end, bake it at maximum 200 degrees for 45 minutes - or even better at 180 degrees for 50 minutes. You won't get a hollow sound either when you tap it. More like a dull thud. Follow those four tips and give it a try. It makes wonderful soft bread, perfect for anything, and a lovely variation to both flavour and texture without the use of fat. There are a couple of scalded recipes in the book, All You Knead is Bread, coming out on 6 September and available to pre order on Amazon. To see a little video on Swedish bread, click here! To learn more about Swedes and their bread - read the interview with master baker Mattias Ljungberg, owner of Tosse bakery in Stockholm, Sweden. Visiting Sweden? Find great bread here. Interesting post. I know that scalding is often used when baking with rye in order to denature the amylase enzyme, which is more active in rye and breaks down the starch that rye bread relies on for its structure, but I hadn't considered that scalding might have other uses. I know that in the past bakers thought that scalded flour made good yeast food, but that was disproved as myth long ago. Lovely site, by the way! Thanks for that! It certainly does not make great yeast food. Dumping boiling water on it practically kills it! Interesting all over asia they scald too - but wheat flour - same point - to make soft, "fatty" texture with no fat. It's something I'll certainly try when I get a chance. I'm also very interested in learning more about Asian bread. I'll make some time to have a proper look round your site in the next few days. A question on baking with scalded flour. You state at the bottom of this article that you should should bake these breads at lower than usual temperatures, around 180 - 200 degrees. Thant seems really low--but then again, are speaking of temperatures in Fahrenheit or Celsius? (writing from the US here) A 180 degree C oven is approx. 350 degrees F, which I would regard as slightly lower than normal for a standard white bread recipe, about 375 degrees F.
Hi there, and thanks for writing. Yes, the temp is Celcius (sorry for not making that clear) and yes that is lower than the temp at which you would ordinarily bake. This bread bakes more like a cake than a bread (you will see why when you feel the dough) and if you bake it at 200 or more it tends to burn before it is baked. In my oven there is no problem browning bread at that temp but if you find your bread does not go as brown as you would like, you can put it in at 220 (425 F) and them immediately turn the temp down to 180 (350 F). Let me know how it goes!